I spent Thanksgiving with my family in South Florida. My 92-year-old grandparents finally relocated this past spring to be near my mom. It was a treat to spend the holiday with them after more than 25 years. 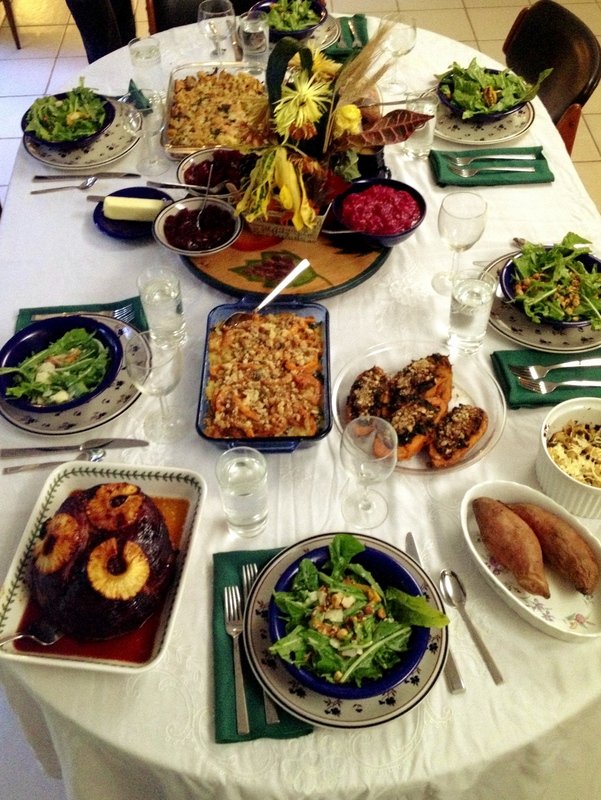 While there were only six of us for Thanksgiving dinner, I ended up making a total of 11 dishes in order to satisfy various constituencies–including the aforementioned nonagenarians and a 16-year old vegan. And that doesn’t include dessert! 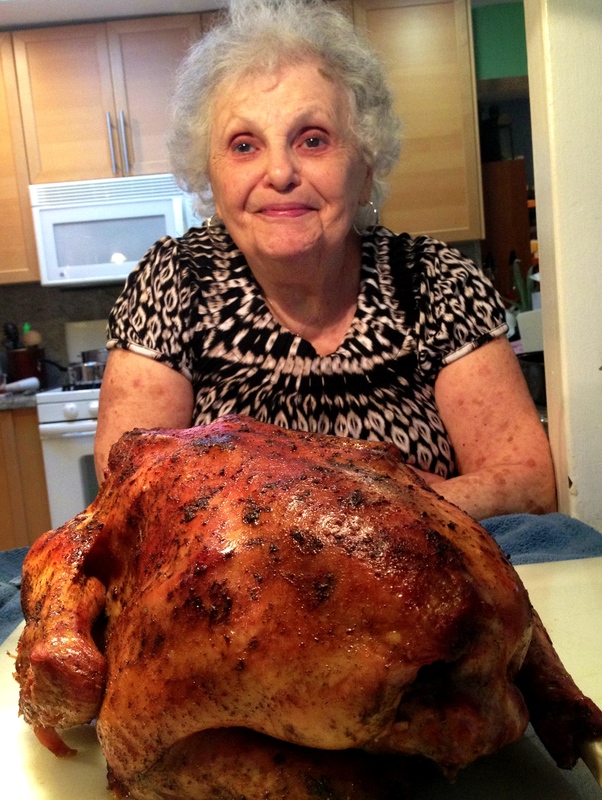 Here’s my 92-year-old grandma keeping guard over her wing while the bird rests. I was particularly gratified that she liked the butternut squash and creamed kale gratin, which was a divergence from her usual fare. I got home to Brooklyn late last night. While I wasn’t thrilled to return to winter, I welcomed the opportunity to cater to my own tastes in my own kitchen. Best of all, I was able to cobble together the ingredients for this comforting dish without having to put on pants. Add three small chopped carrots and saute until just beginning to soften. Then add four cups of water, a few cubes of frozen chicken stock (or some bouillon), and that last bit of red wine left over from your dinner party last weekend. Bring to a simmer and then add half a pound of French green lentils, a pinch of red pepper flakes and half a tablespoon of Herbes de Provence. Simmer until the lentils are soft and the broth has thickened a bit–roughly 45 minutes. Adjust seasoning with salt and pepper. Add three small carrots chopped into very small cubes and cook for a few more minutes. Stir in a tablespoon or so of red wine vinegar to provide a little balance. This makes a great bed for just about any protein. I cooked the first half of these lentils for a dinner party a few months ago and served them with pan-roasted Scottish salmon to great effect. Tonight I went with a fried egg. 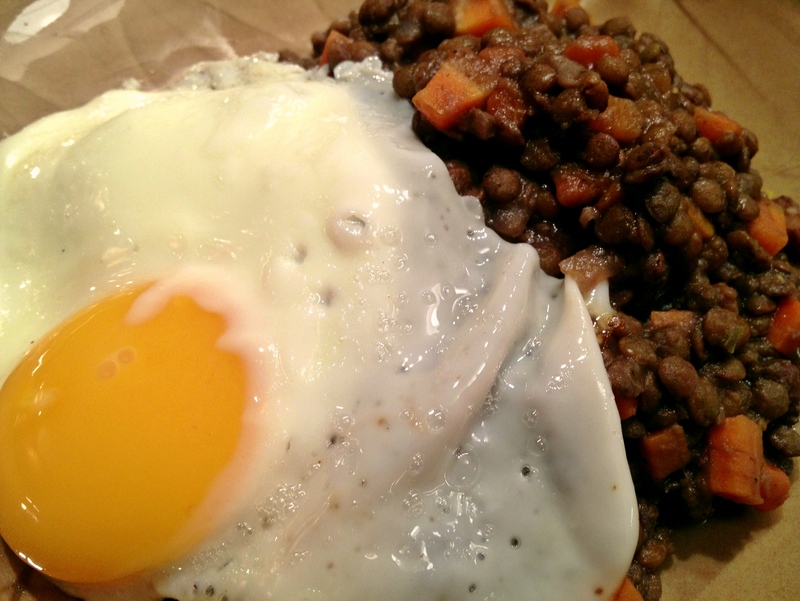 The rich, oozy yolk was a perfect marriage with the earthy lentils. I am lucky to live in a beautiful coop populated by some truly fantastic people. 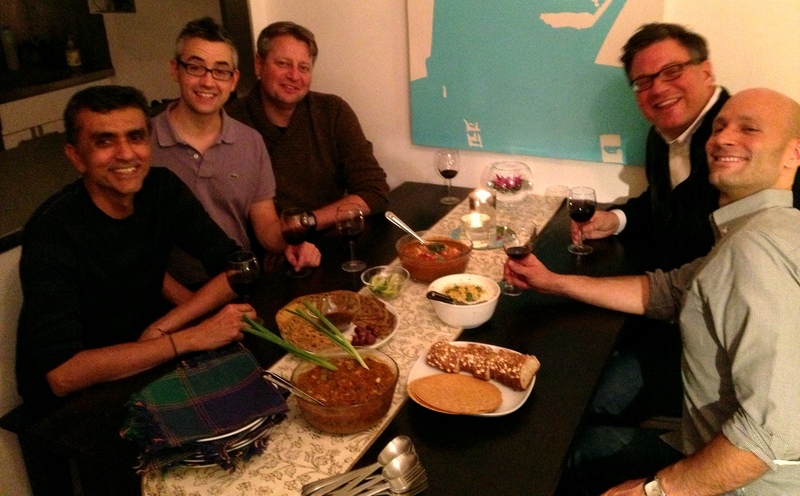 Last night my neighbors got together for a progressive potluck dinner. 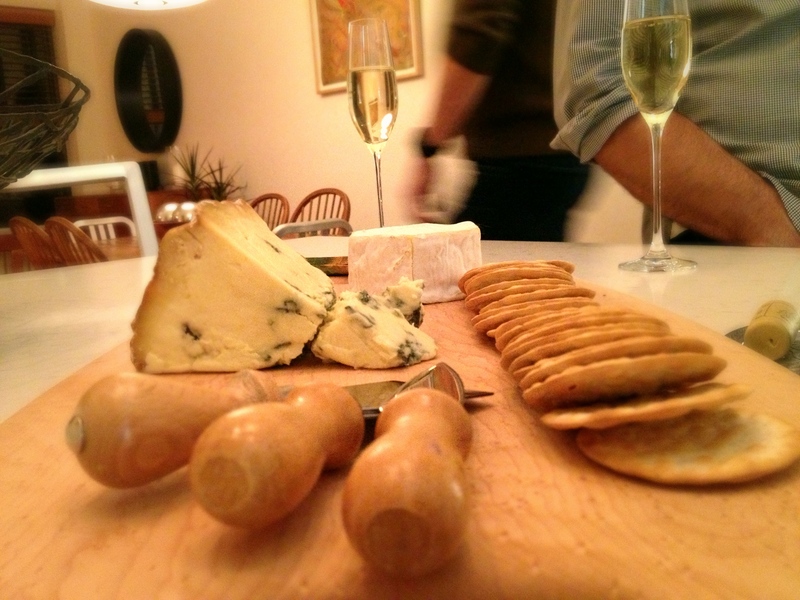 My apartment was off-limits owing to an unfortunate leak, so Matt and Ryan graciously hosted the first course. The last month of weekly CSA shares had included more radishes than I could reasonably consume. Last weekend, in a desperate bid to keep them from going bad, I pickled the radishes. I’ve been eating them in breakfast tacos, as a garnish for Anasazi bean soup, and straight from the jar. 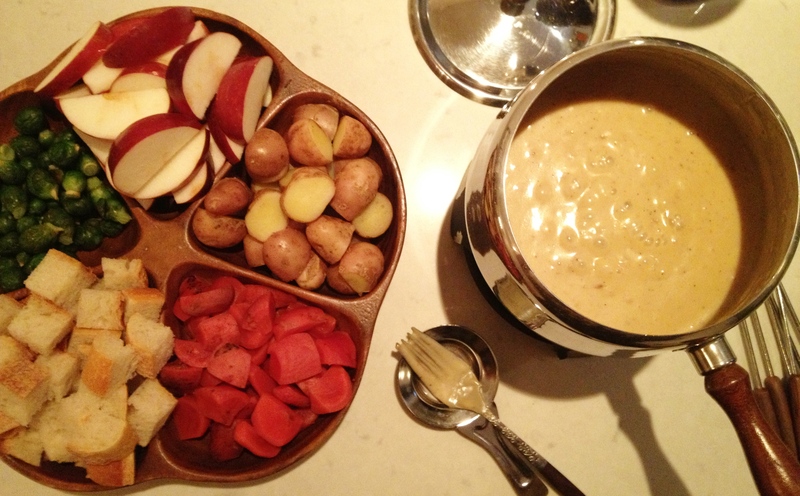 For our potluck, I served the pickled radishes–along with French bread, baby Brussels sprouts, Macoun apple slices, and steamed new potatoes–with an Appenzeler and Fontina fondue. 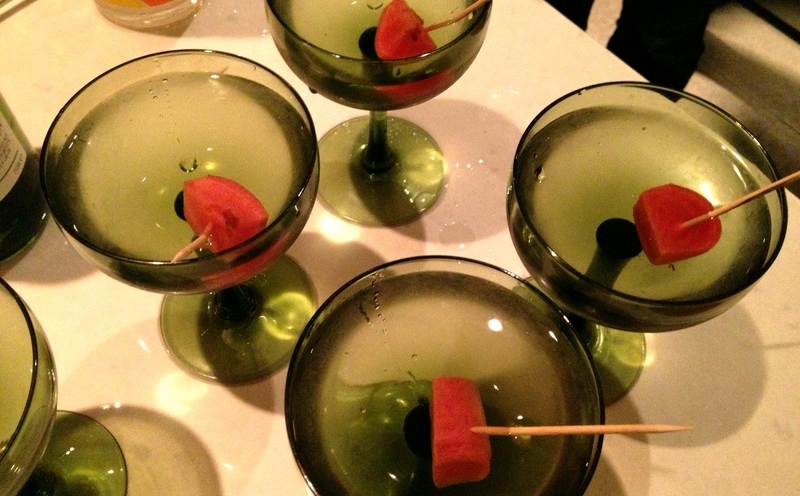 The pickled radishes made a second appearance in a round–or, um, three rounds–of Gibsons. A Gibson is a vodka martini with a cocktail onion in place of an olive or a twist. I went with one part dry vermouth to four parts vodka, stirred with ice, strained into coupe glasses, and garnished with a pickled radish. 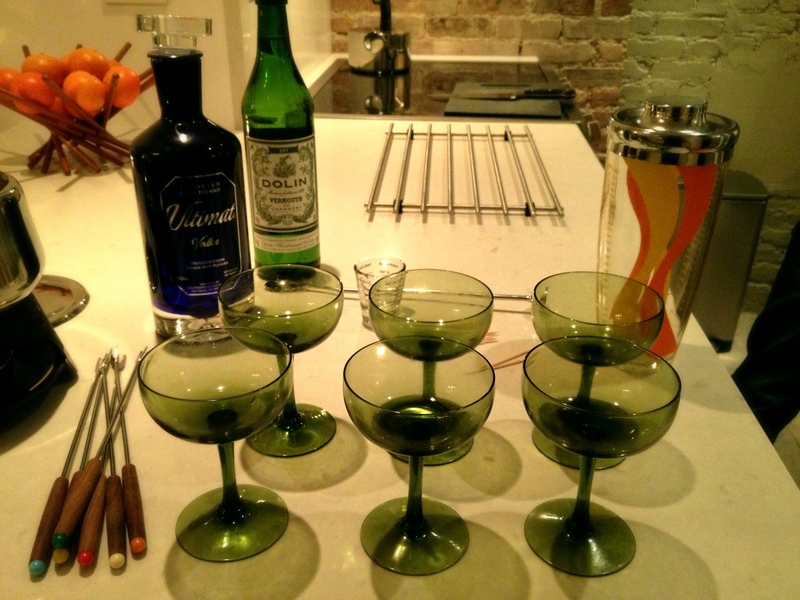 The key is to use a good quality vermouth, which is a whole different animal from the $4 a bottle stuff. In this case, Dolin did the trick. 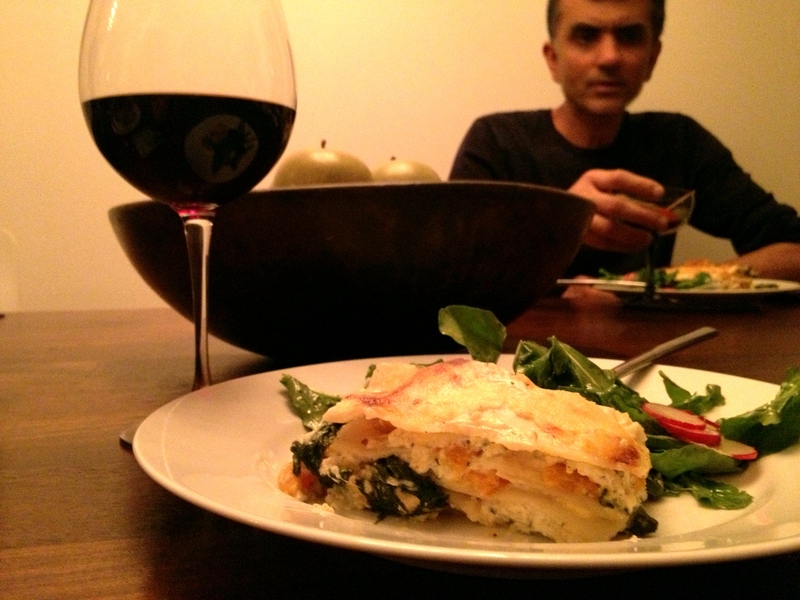 Next up was Matt and Ryan’s butternut squash and broccoli rabe lasagna. 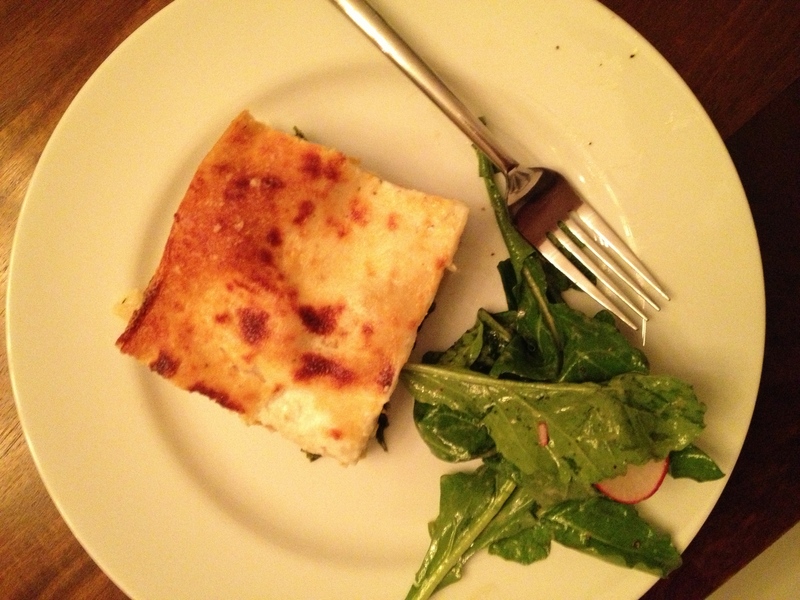 The arugula and radish salad with a lemon dressing provided the perfect counterpoint to the lasagna’s luscious nutmeg-infused bechamel. At this point, we transitioned to red wine. From here the party really got moving as we filed downstairs for a delightful spread of Indian street food and, of course, more wine. Praveen has promised to give me some lessons, so hopefully I can report back on what we ate in more detail at a later date. Suffice it to say that the dishes were fresh, delicately seasoned, and made all of our go-to Indian takeout spots seem sad by comparison. The final stop was Chris and Rich’s newly renovated apartment on the top floor of the building next door. Chris had gamely agreed to take on dessert. But first there was champagne and a demonstration of the snazzy new induction cooktop, which brought a pot of water to a boil in about two minutes. 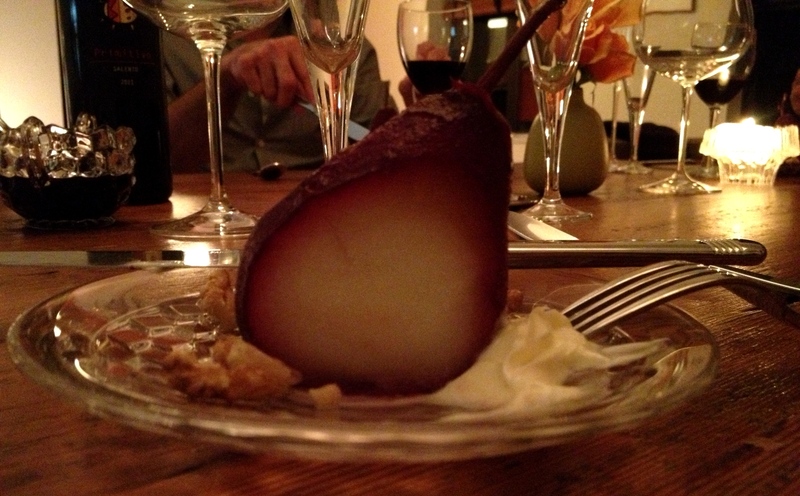 Dessert consisted of poached pears with crème fraîche and walnuts, some truly decadent English cheeses, and port. I have hazy memories of some more red wine and perhaps a high-end chocolate bar. It goes without saying that this morning was a little rough, but it was well worth it. From what I can tell, communities surrounding the Mediterranean each have their own variation on an eggplant dip. I have yet to meet one I didn’t like. This version is seasoned in a Moroccan style and pairs quite nicely with my date and lamb kaftah, but you could easily use the same technique to very different effect by altering the spices. Preheat oven to 350 degrees. Prick eggplant all over with a fork and place in jelly rolls pans or roasting pans in oven. Roast until the eggplant start to collapse (approximately 45 minutes to one hour), flipping occasionally. When cool enough to handle, scoop the flesh out and set in a fine mesh strainer for at least one hour. In a small baking dish, combine sliced onion and tomatoes with 2 tablespoons olive oil. Roast in oven, stirring occasionally, until onions are soft with crispy edges. Chop this mixture so that it is almost a paste. 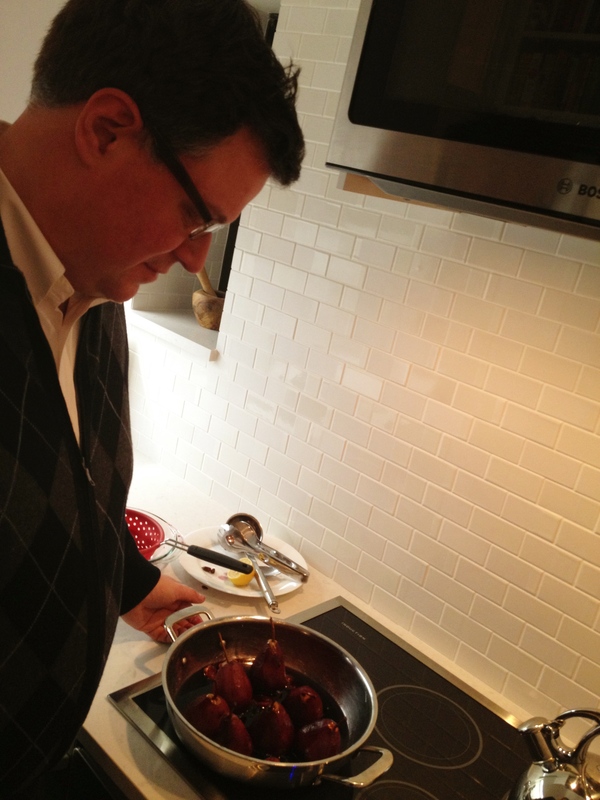 Add the drained eggplant, onion and tomato mixture, olive oil and spices to a bowl and mash well with a potato masher. Adjust seasoning with salt, pepper and red wine vinegar to taste. The kaftah and eggplant were both unctuous and a little spicy, so I decided to make a quick yogurt dip to balance out the flavors. I combined a cup of labaneh (full-fat strained Greek yogurt would work) with the zest of two lemons and the juice of one. It worked like a charm. Sadly, I failed to take a proper photo of either of these dishes, but that’s them, along with the kaftah, in the upper right quadrant of my refrigerator. Last Monday’s class included a discussion of Reflections on Fieldwork in Morocco, which chronicles Paul Rabinow’s experience conducting anthropological research in Morocco in the late 1960s. This particular course is from 6:45pm to 8:25pm–prime eating hours. At the beginning of the semester, we agreed to take turns bringing snacks to help us power through. I was up last week. Some of my fellow students in the NYU Food Studies program are professional chefs. I’d be lying if I said that I didn’t feel a certain amount of pressure. Clearly, it needed to be Moroccan or, at least, Moroccan-ish. I’ve had success with a few variations on a tajine, but this seemed highly impractical given that I had to put in a full day at the office and would not be able to reheat anything. I also did not want to endanger my classmates’ notebooks and iPads. I studied in Jerusalem for six months when I was an undergrad and have fond memories of meze–elaborate spreads of small dishes that are common throughout the Mediterranean and Middle East. Think hummus, olives, stuffed grape leaves, falafel and yogurt-based dips. Meze can be the precursor to a meal or, as is my preference, a meal unto itself. Pour 2/3 cups boiling water over the bulgur in a small bowl and let sit while you prep your pine nuts, dates, onions, herbs and spices. Add everything except the canola oil to a medium work bowl and mix gently with you hands. Let this chill in the refrigerator for at least half an hour. Fill a large cast iron skillet with canola oil to approximately 1/4 inch and bring to medium-low heat. 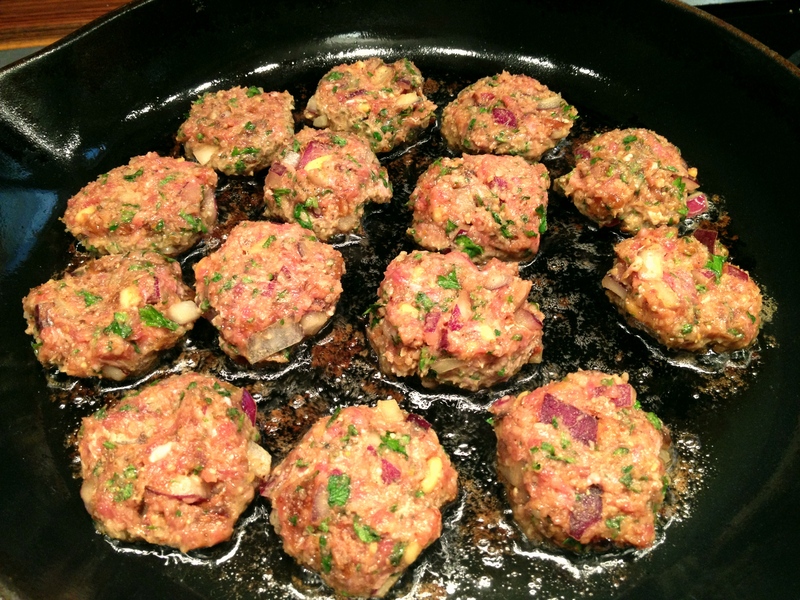 Working in batches, form the lamb mixture into small patties and add to the skillet. Cook until nicely browned on one side, flip and repeat. Drain on paper towels. These would make great sliders. Formed into balls and served with toothpicks, they would be a delightful hors d’oeuvres for a cocktail party. 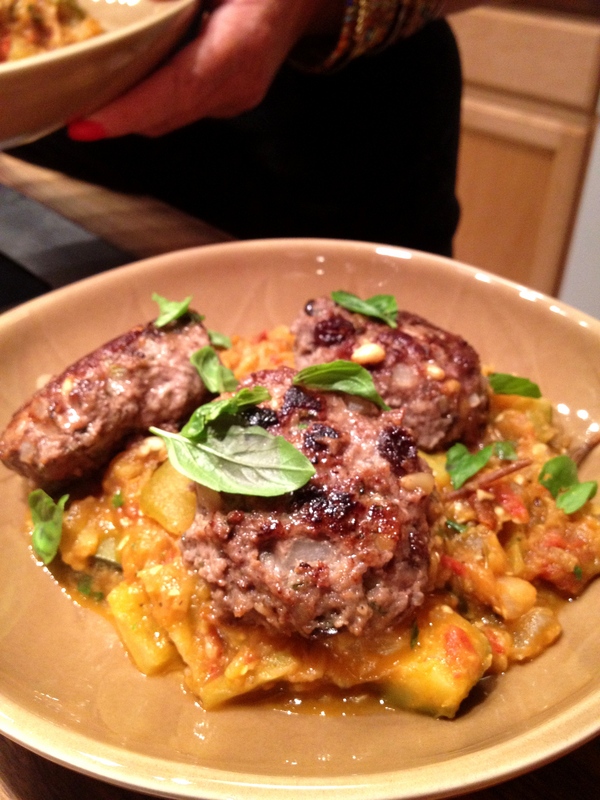 A couple of months ago, I made a similar version and served them hot over a Moroccan-seasoned ratatouille. 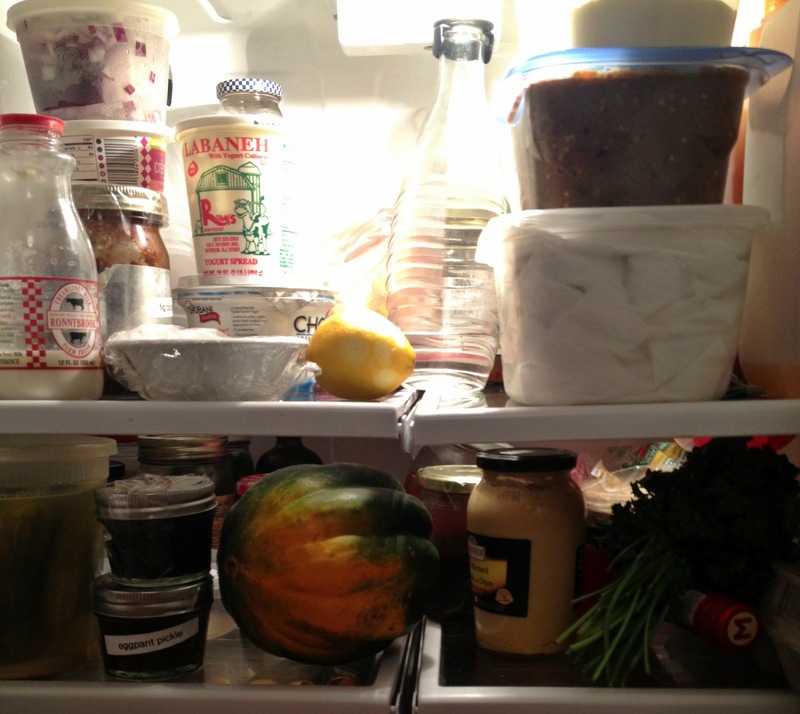 In this case, I packed the kaftah in additional layers of paper towels and stashed them in the refrigerator along with a roasted eggplant dip and a labeneh-lemon dip. Another classmate brought a spicy carrot salad, mint tea, dates and almond cookies. We served it all with white and whole wheat pitas. It was a delightful feast.